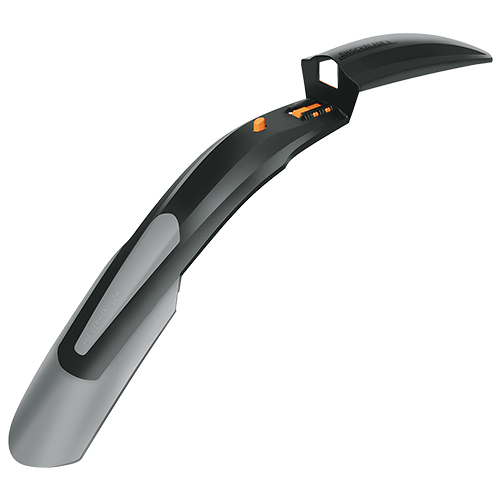 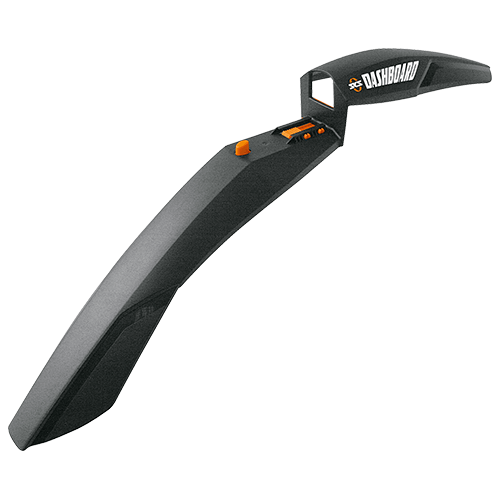 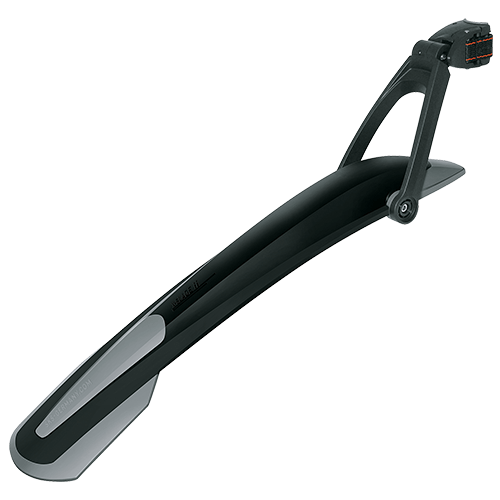 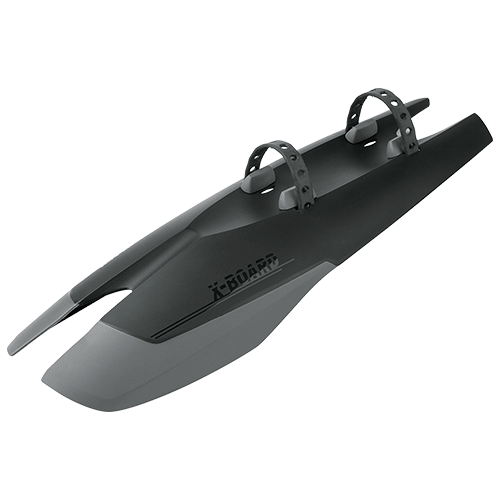 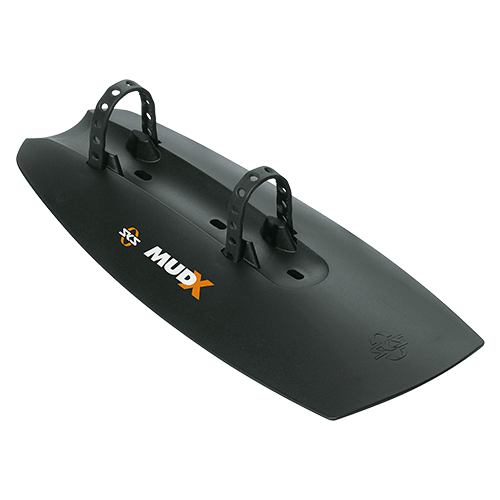 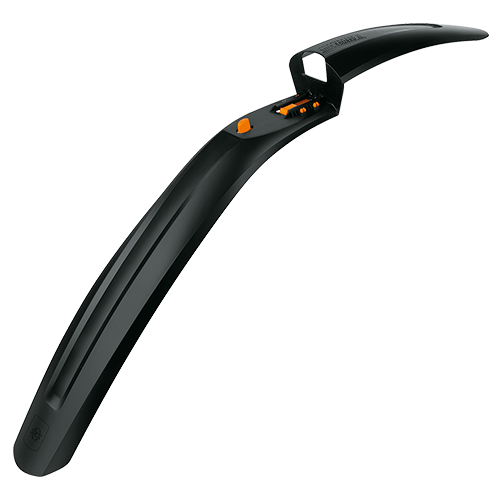 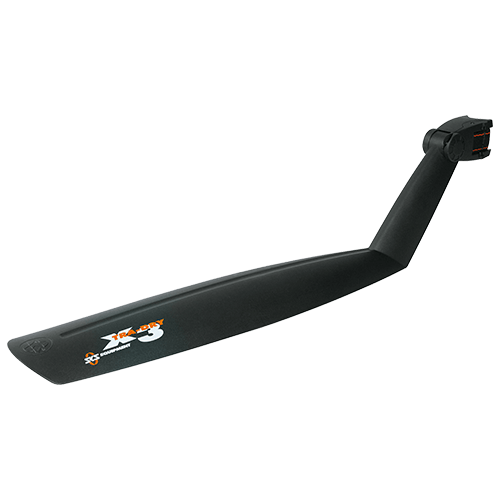 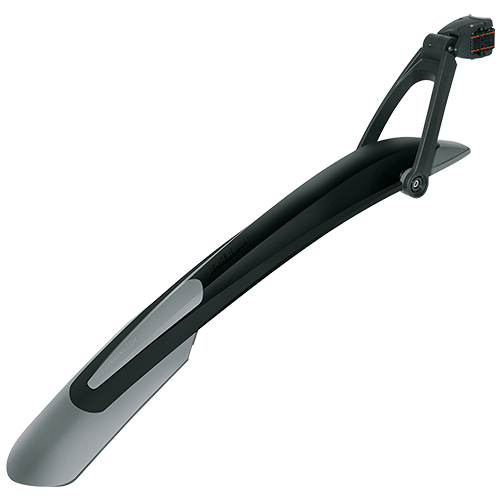 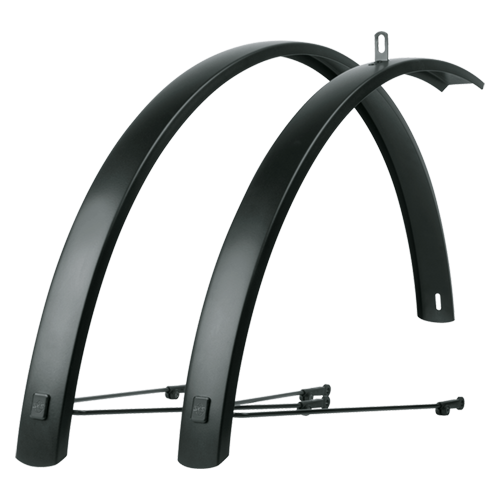 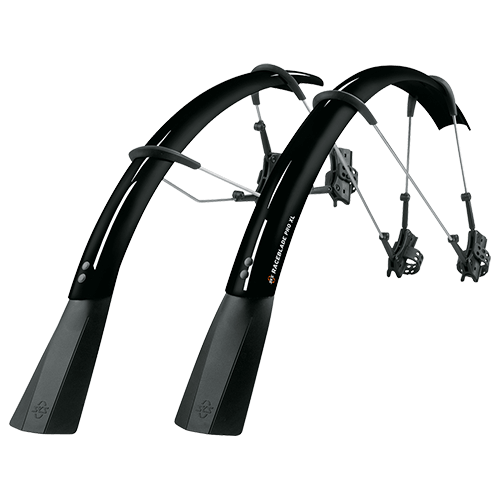 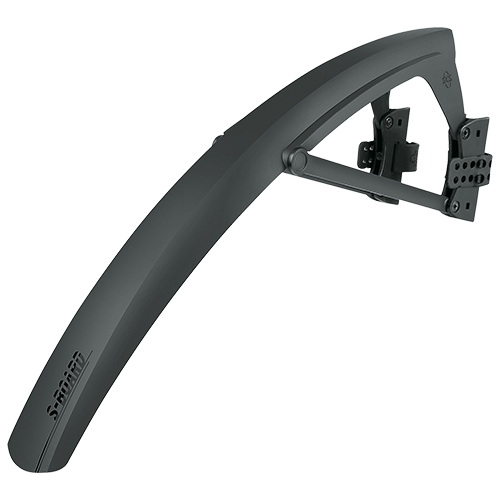 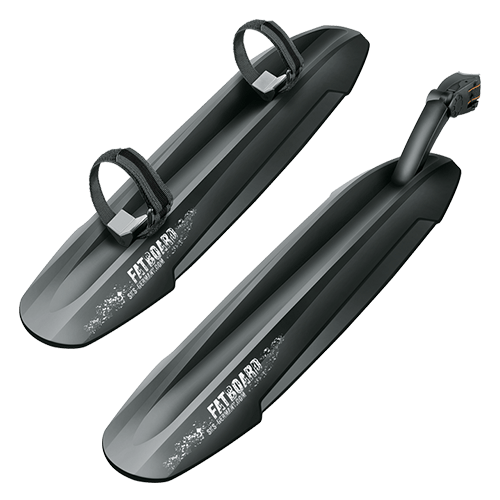 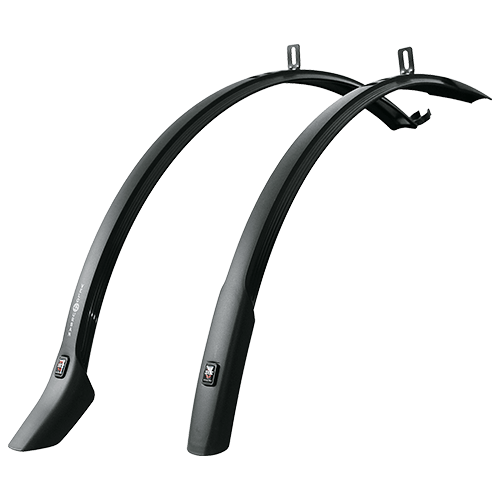 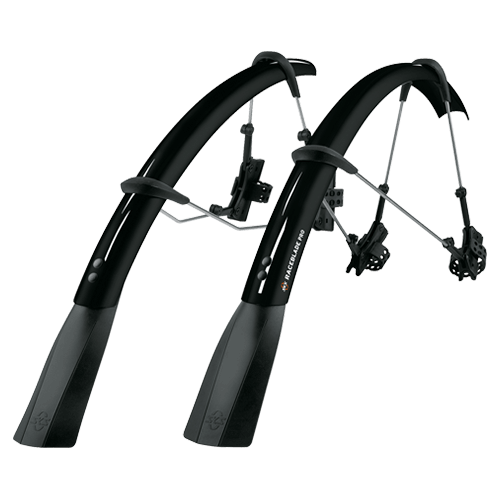 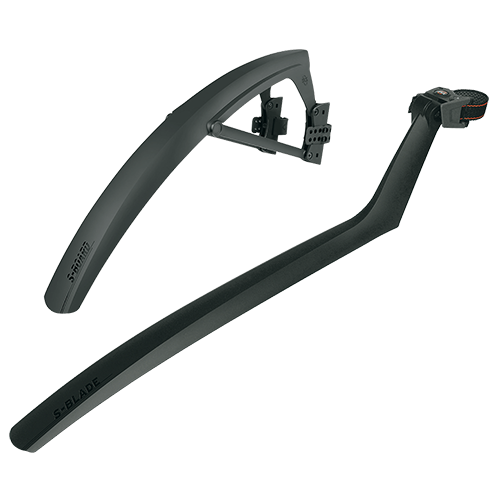 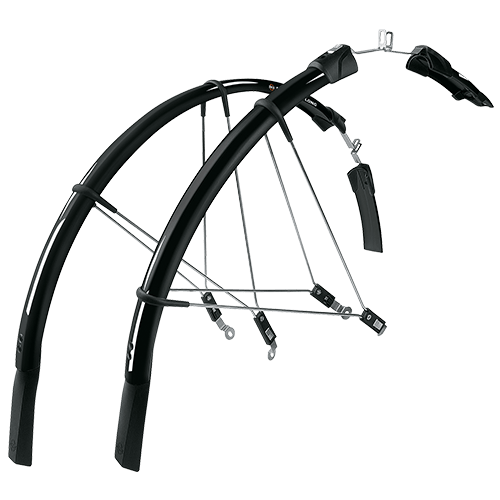 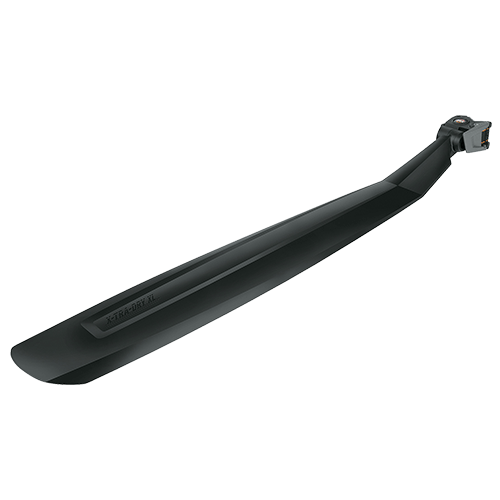 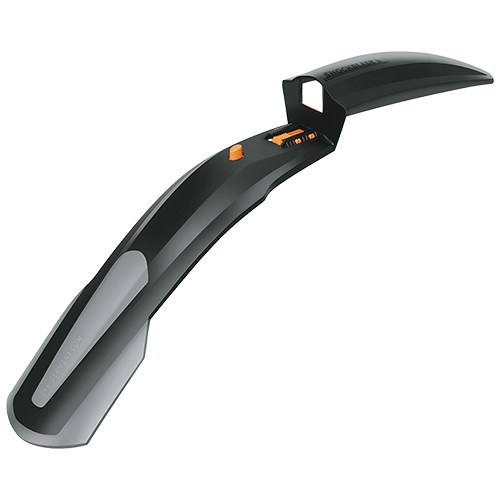 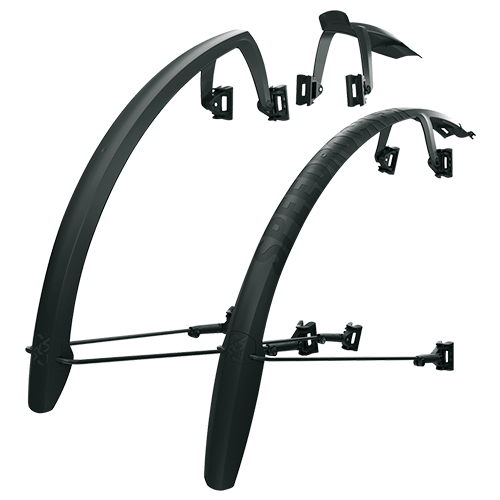 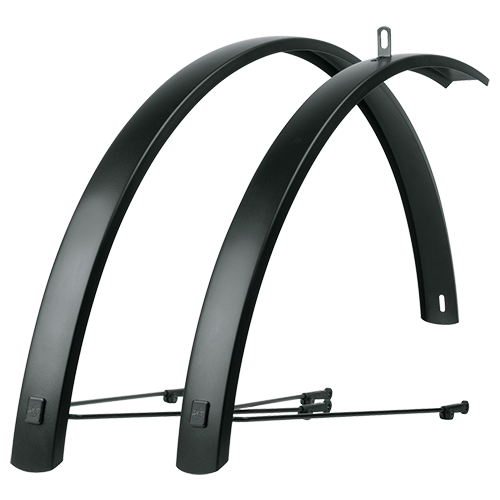 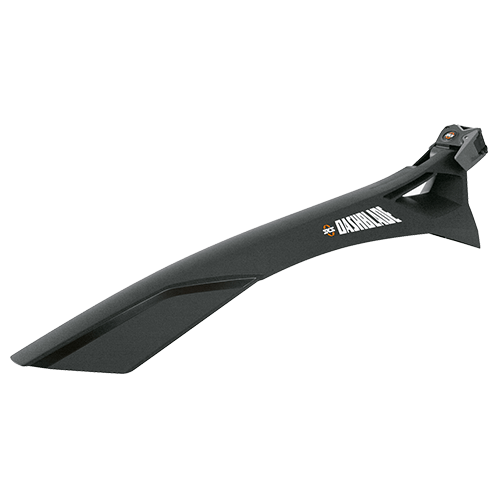 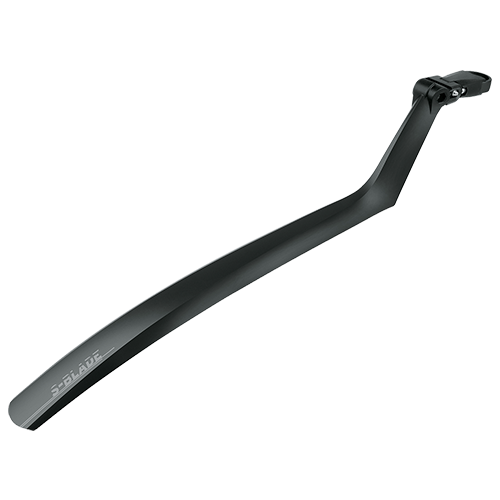 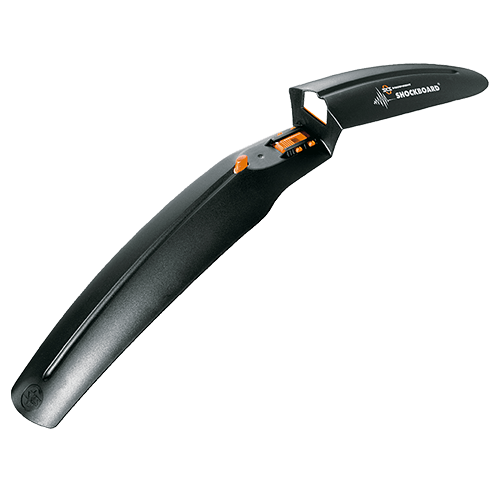 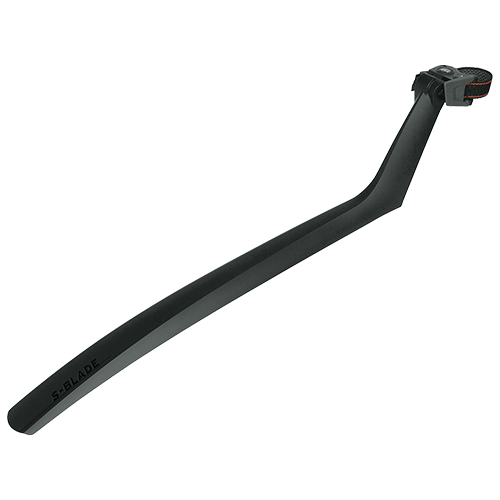 The X-GUARD is a universal mudguard for any wheel size. 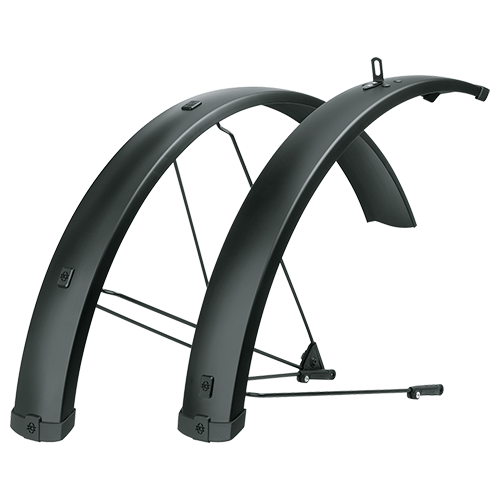 It is attached using two straps on the lower bar, so fat bikes and bicycles with oversized tyres in particular can rest assured of absolute all-around mud protection. 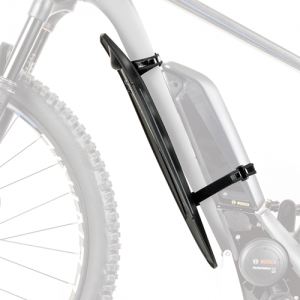 It also protects E-MTB batteries from dirt, splashes and flying rocks. 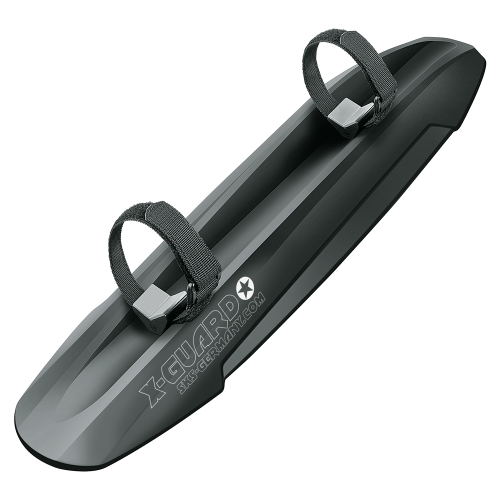 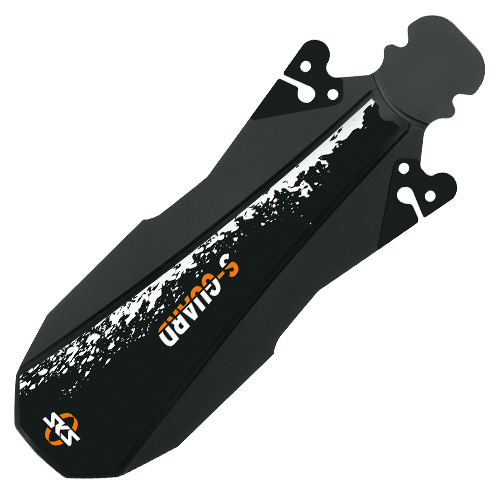 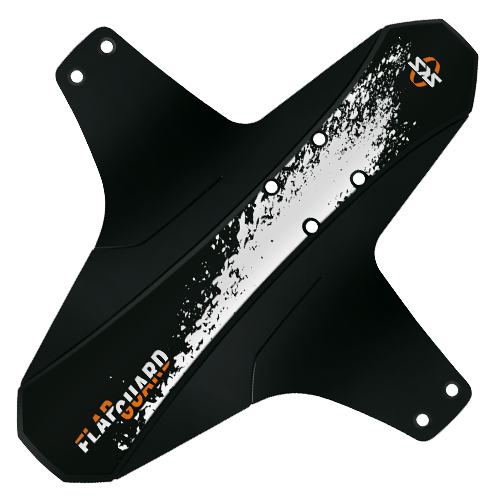 The straps are extra long and can be shortened as needed, making X-GUARD suitable for any frame shape and all commonly marketed battery models.